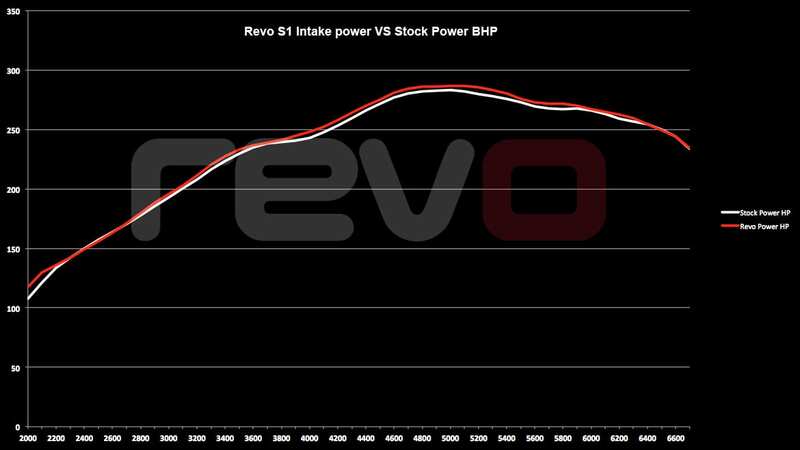 The new 1.8 TSI intake has been designed to work in harmony with our Revo software. Starting by looking at the OE system we set about deciding where we could improve on the current design, it was apparent from the outset that the factory airbox was more than substantial for the flow of air the car required. The stock airbox is actually about 15% larger than the airbox on the MK7 Golf Gti. 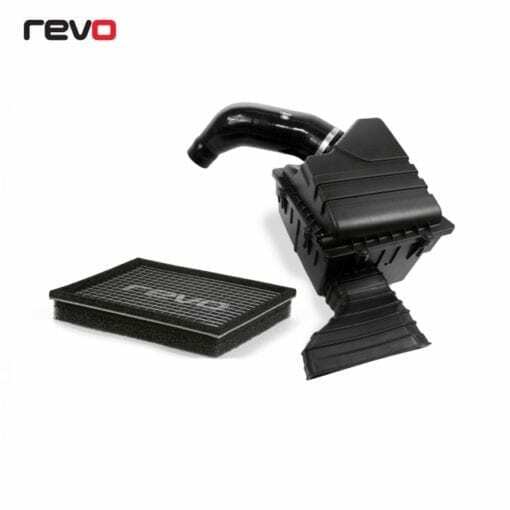 So we decided to keep with the airbox on this basis and had one of the Revo ProPanel filters designed to replace the restrictive OE paper element to allow the turbo to breathe easier. The next section of the factory intake was the OE intake hose which feeds the clean air from the airbox into the turbo. The stock hose is made out of plastic with multiple ridges in it to allow for flex of the intake system under load, however having these ridges causes a lot or turbulence to the air. We re-designed the hose to eradicate this, maintaining the precise OE fit whilst eradicating any turbulence issues. 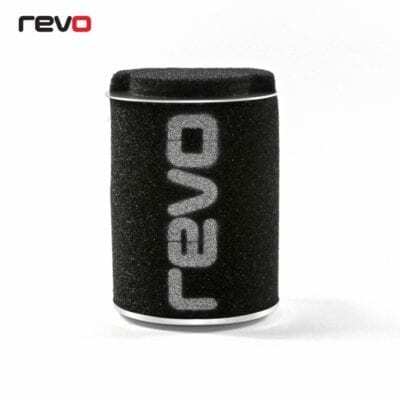 Working alongside SamcoSport ensured the highest quality product, we opted to use high temperature nomex fabric to withstand the heat from the turbo, and automotive grade silicone rubber to avoid fading or perishing over time. The inner ridges made way for smooth inner walls which after testing increased both airflow and speed resulting in more power and flow. To avoid the all too common problem of hose collapse under negative pressure from the turbo, we incorporated an embedded wire helix to prevent this from happening, no matter how much more power you run. Testing was carried out in various ways, dyno, flow and road. On the flow testing we set up the stock system on a flow test bed, The ISO5011 performance test, measures the restriction (measured in mm WG) created by the air filter and any equipment used in the air intake at multiple air flow rates (measured in CFM). The test uses a flow bench to draw air through the air intake at a given flow rate. The flow rate is calculated by measuring the pressure difference using a manometer across a set orifice. A second manometer is used to measure the depression or vacuum created by the air intake. The lower the vacuum created by the air intake the better it has performed in the test. Each component of the system was measured, analysed and improved to enable us to maximise the performance of the intake. 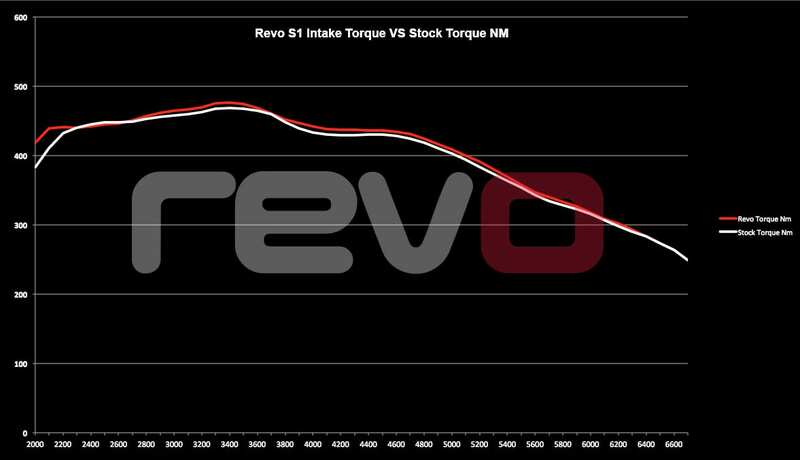 The results were great and the complete Revo intake system compared to the full stock OE system showed a 19% reduction in restriction at 400CFM.